Saturdays, March 30, April 27, May 18, and June 15, 2019. All performance times are: 2:00 - 4:00 pm. 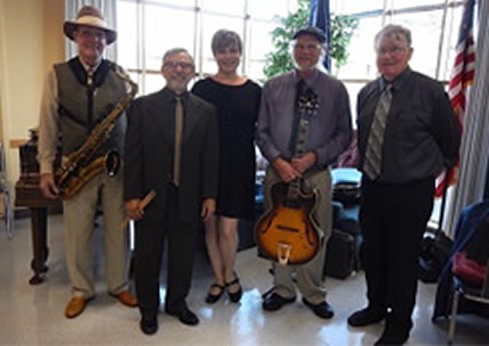 Past Forward plays tunes from the 1920's through the 1960's with a diverse repertoire that features standards, show tunes, bossa novas and popular hits. Be sure to grab a piece of pie, soft drink, and a partner for some toe tapping music! Return of the Mad Hatter! 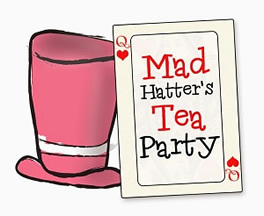 The 8th annual Mad Hatter Tea Party will be held at the Newport 60+ Activity Center in February of 2020.. This popular event is a whole lot of fun for attendees and staff alike, with two awesome hours of fashion, fun and frivolity for all. Mad Hatter Models will showcase local store fashions from New 4 You, both practical and wild. Enjoy hot tea from fanciful pots and an array of festive finger foods. But beware! Some things may make you bigger and some things may make you smaller. Festivities will conclude with a drawing for free door-mouse prizes graciously provided by New 4 You. Their shop is located at 337 SW Coast Hwy in the Deco District of Newport. Mad Hattire is encouraged (bright/mismatched clothes and crazy hats). There will be a Best Hat Award. Admission is a suggested donation of $5. Space is limited, so call (541) 265-9617 to reserve your seat and DON’T BE LATE for this very important date.